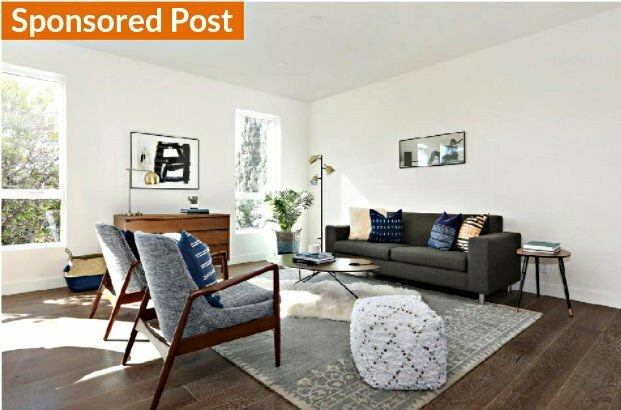 This stylish modern home has been exquisitely rendered, bringing a new level of luxury to the hills of Echo Park. The two-level layout balances function and form with high ceilings and oversized windows gathering daylight. In every direction there are epic views. Three bedrooms include the Master Suite featuring two walk-in closets and a beautiful shower with polished pebble flooring and freestanding tub. Kitchen amenities include a center island, waterfall quartz edge, full-height tile backsplash and Viking appliance suite with French-door fridge. Oak plank flooring flows throughout. Ascend floating stair treads to the rooftop deck, a generous open-air space finished with Mangaris wood raised panels. Relax and entertain against a backdrop of vistas from the Hollywood Sign to Downtown LA. The two-car garage has direct access; the washer+dryer is by ElectroLux. 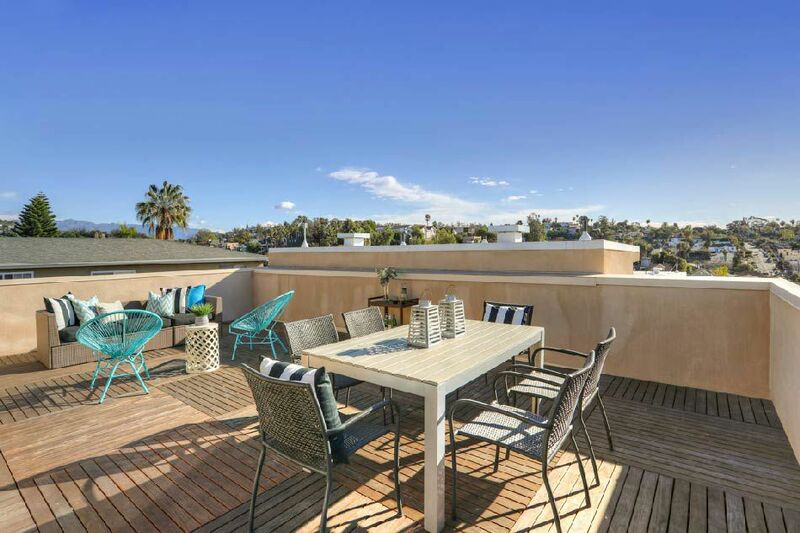 This choice location in Echo Park earns a remarkable 91 Walk Score™, placing you near shopping and amenities along with local favorites Chango, Cookbook, the Semi-Tropic and so much more.